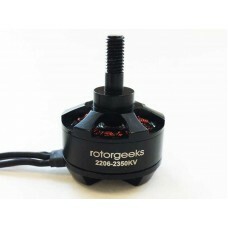 The second motor in the Rotorgeeks 7075 series, the 2206-2350kv is purpose built for spinning 5" triple blade props. Like the popular 2205-2700kv motor, this is machined from 7075-T6 aircraft grade aluminum, with almost 3 times the tensile strength of traditional 6063. The case design has been engineered for maximum strength and impact resistance. More material in key structural areas, spans, mounting hole clearance and other potential points of failure in a high speed impact. Shafts are secured into the rotor both mechanically and with a high strength adhesive to make shaft slippage and vertical play a thing of the past. The shaft is held in place at the base with a standard e-clip, making servicing and parts replacement easier than ever. JUST ARRIVED - THRUST TESTS ON PRODUCTION MOTORS COMING SHORTLY! 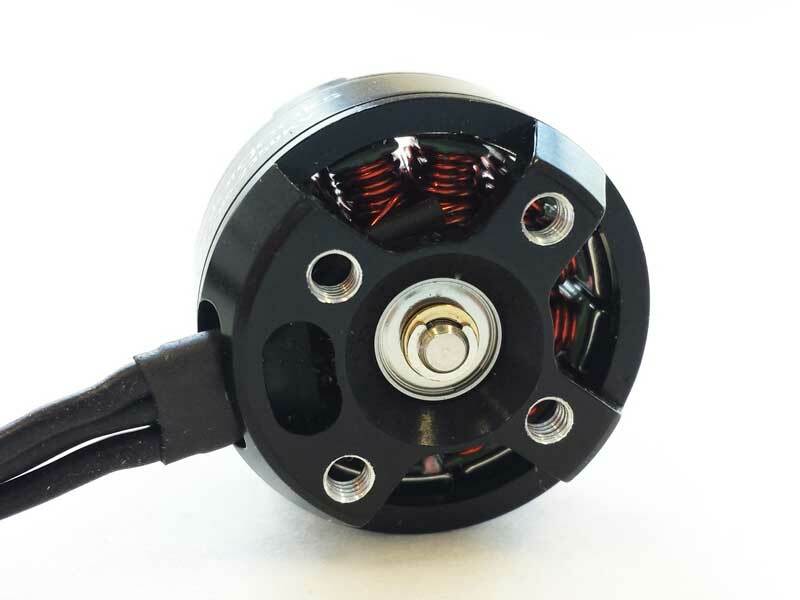 Rotorgeeks has been proudly selling Cobra motors since before the development of the CM series for multirotors. Cobras have always been great for quality and performance but their success has also led to availability challenges. We began this journey with a simple objective - to create a motor of equivalent capability that we could actually keep in stock. Matching the performance of the Cobra did not prove an easy task. Prototype after prototype, we worked on every facet of the motor in the quest to match the Cobra, playing with different magnets, copper, winding techniqes etc. Around June this year, we thought we had it based on prototype testing. 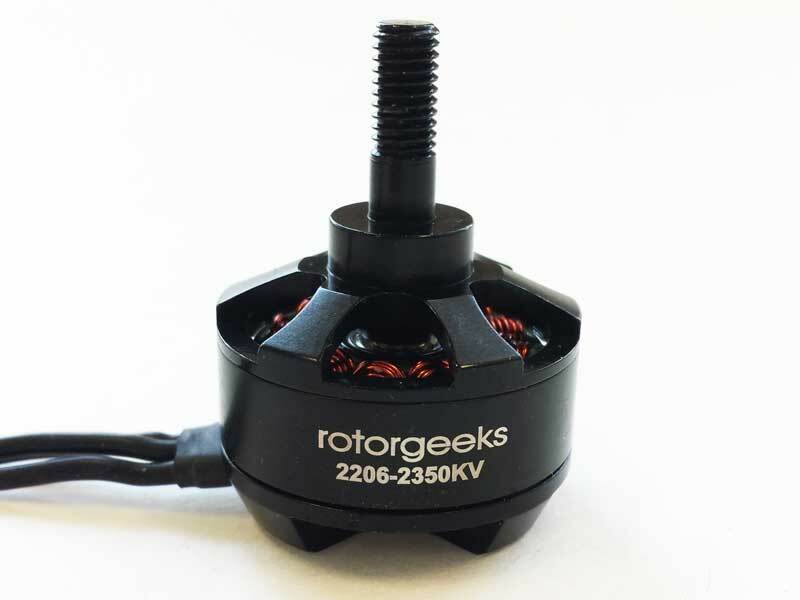 The first batch of motors arrived but the performance was still a bit lower than our objective and after much consideration, not good enough to release with the Rotorgeeks name. A little more R&D and we landed on the final product. The first batch of motors went back to China where they had the stators replaced (along with bearings and clips). We're thrilled that at the end of a long road, we have the product we wanted.